Spacious, clean, great location for sights and groceries from local store less than a block away. Lots of restaurants close too. Parked in park axe down the street first Eve and overnight ($24euros)but next nights stayed on street just in front and police walking by said it was ok as long as we left early (before 8). Not sure if that is ok but no tickets for us and was sooo convenient. LOVED this place. Wish weather had been nice enough to be on lovely patio. We liked the funky decor and the facilities. Spacious and with good comfort and a great location for the city centre. Great apartment in a great location. Kitchen is well equipped and the decor is very nice and modern. The hosts, even though are not met in person, are responsive on emails. Location excellent. Lovely bright, comfortable bedrooms. Nice patio. Very modern kitchen etc. Comfy sofa bed. The location is in the middle of the centre, road on the front side can be noisy sometime, but in general a nice location. Pouvoir arriver en toute autonomie. Salle de bain propre et avec tout le nécessaire (sèche-cheveux, serviettes, shampoing, ...). Lits confortables. Bel espace de vie. 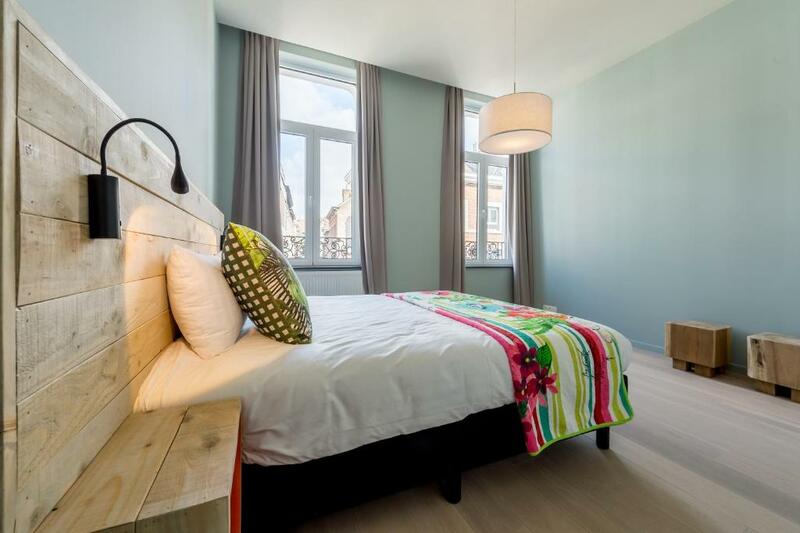 Lock in a great price for Smartflats Design - Cathédrale – rated 8 by recent guests! 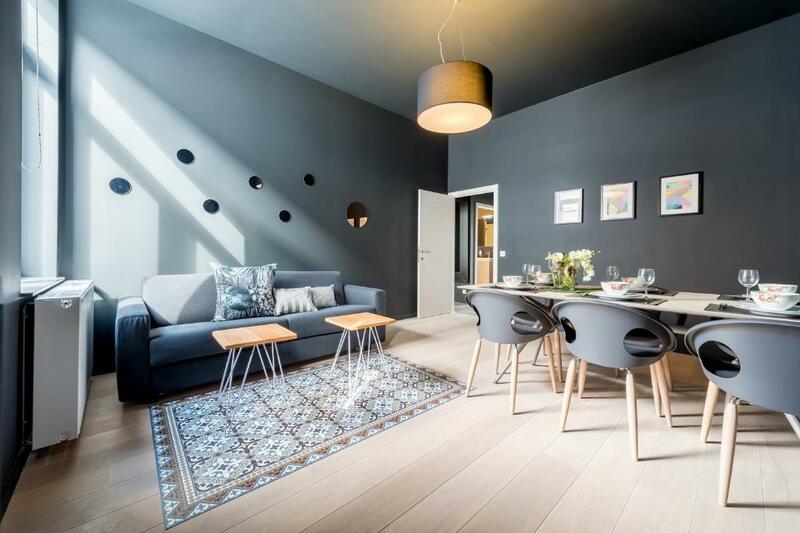 One of our top picks in Liège.Centrally located in Liege, just 650 feet from the Cathedral, Smartflats Cathédrale offers spacious apartments with free WiFi access. The property is 0.8 mi from Congres Palace and 2,300 feet from BAL. 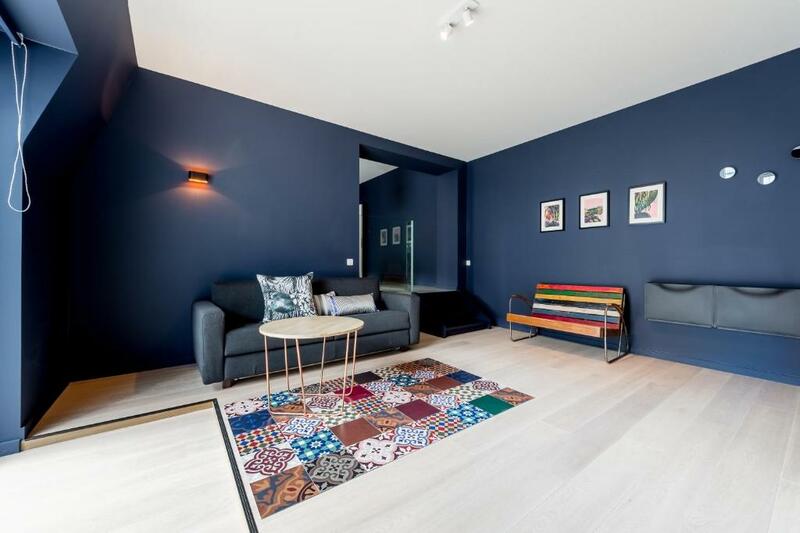 Apartments at Smartflats Cathédrale feature a living room with a sofa and flat-screen TV. Guests can prepare their meals in the fully-equipped kitchen, which includes a dishwasher and a microwave. Featuring a bath or shower, the bathroom also comes with a hairdryer and free toiletries. Rooms offer city views. If you feel like visiting the surroundings, check out Botanical Garden (0.7 mi) and Liege Guillemins (1.2 mi). Brussels Airport is located 51 mi from the accommodations. This is our guests' favorite part of Liège, according to independent reviews. 뀐 Located in the top-rated area in Liège, this property has an excellent location score of 8.9! 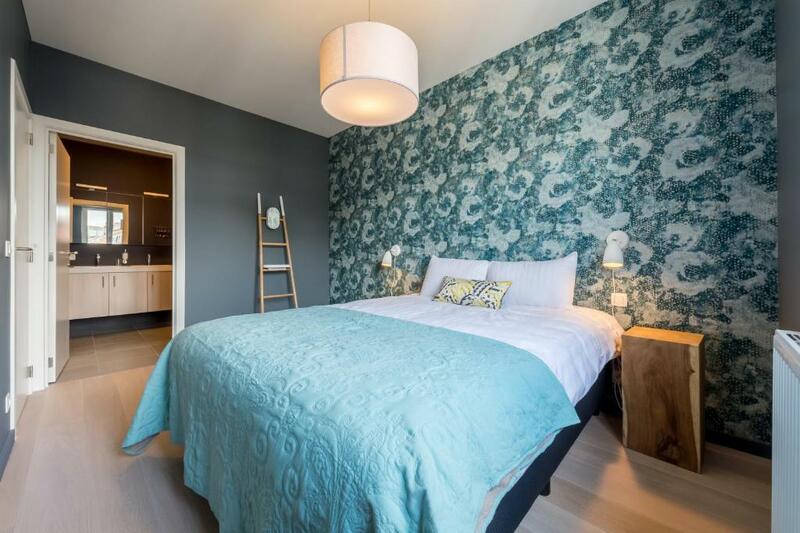 When would you like to stay at Smartflats Design - Cathédrale? This apartment features a private entrance, dishwasher and oven. Public parking is available at a location nearby (reservation is not possible) and costs EUR 20 per day. This apartment has a iPod dock, dining area and seating area. This apartment features a stovetop, kitchenware and microwave. This apartment has a toaster, electric kettle and sofa. This apartment has a oven, electric kettle and stovetop. This apartment features a microwave, dining area and oven. Everything is made so you can fully enjoy your stay at Smartflats! We do not have reception on-site, instead we have a digital reception available 24/7 by email and phone. You will self check-in thanks to the access codes you will receive, which gives you total flexibility and intimacy. 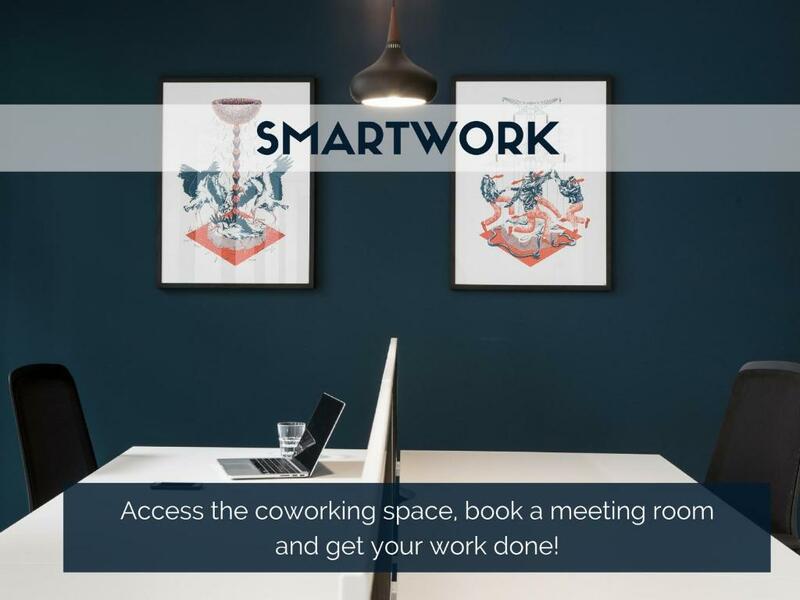 You can also have access to SmartWork, our coworking spaces with meeting rooms. Just ask us in advance. 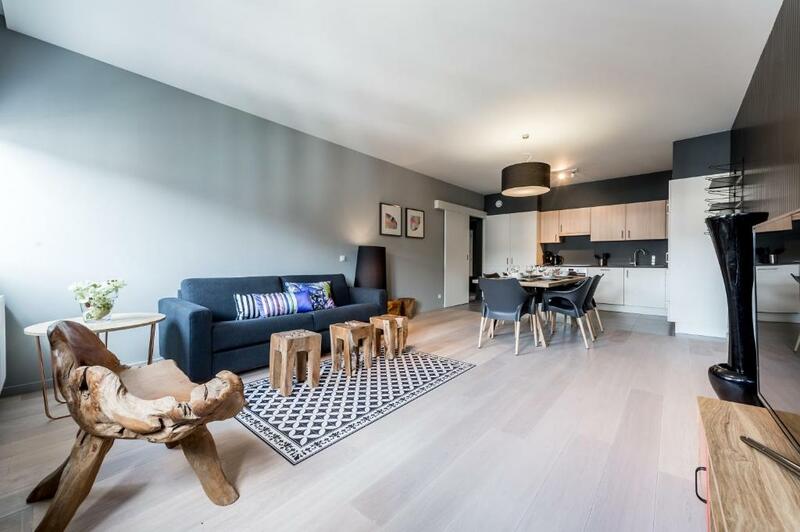 Our flats are spacious and stylishly decorated for the same price as a hotel room. There are fully equipped so you can enjoy a short or longer stay! Smartflats was founded in 2012 with aim to disrupt the traditional hospitality landscape. 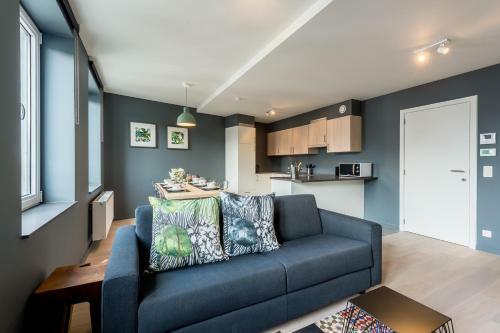 Using smart technologies, Smartflats rents over 90 flats and delivers its guests the convenience of short-term flats rentals, with the benefits of a premium hotel customer service. House Rules Smartflats Design - Cathédrale takes special requests – add in the next step! Smartflats Design - Cathédrale accepts these cards and reserves the right to temporarily hold an amount prior to arrival. Please note that Smartflats has no reception on-site. In order to check in, guests need to bring the access codes they receive from the accommodations by e-mail 2 days before the date of arrival. 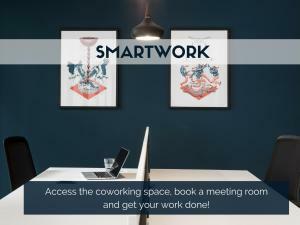 Guests have access to SmartWork, a coworking spaces with meeting rooms (more info upon request). Cleaning costs are included in the price of the stay. However, please note that if the accommodations is left in an excessive state of dirtiness the property will charge an additional cleaning fee. Please note that in case of damage, an extra fee will be charged. Please note that hosting a party, smoking and/or bringing pets is not allowed, otherwise an extra fee is charged for compensation. Sofa Bed Policy: Please note that the sofa bed is only prepared when the maximum capacity of the flat or maximum capacity minus 1 person is reached. In other cases, the sofa bed is upon request when booking and at an extra cost of EUR 25 per stay. Baby cots are upon request and availability at EUR 25 per stay. Please inform Smartflats Design - Cathédrale of your expected arrival time in advance. You can use the Special Requests box when booking, or contact the property directly using the contact details in your confirmation. Lighting in living room at night was a bit too dim even with lamp(husband said painting room lighter colour would have helped that. A cloth for the kitchen would have been nice. We were given the wrong apartment, which was much smaller and much less convenient than the one we'd chosen and paid for. We'd booked a two bedroom flat with terrace, and ended up with no terrace, and only one bedroom + a sofa bed. Very, very inconvenient as we were travelling with elderly friends. Lighting in the bathroom was too dark. Smell of detergents. Too much bleach was used. Towels quality is poor. I did not codes for entrance by mail. I needed to call for them in the front of closed doors? The apartment was a little dusty and could do with a proper clean. At night, as it is right in the center, the cars and people going past where a bit noisy for us.